Although it has been bumped off the nation's front pages by other disasters (like the upcoming presidential election), the ponderous wheels of justice are slowly grinding their way along in the toxic water crisis in Flint, Michigan. Like cockroaches scurry for darkness in sudden light, those responsible for the situation are finding excuses and denials to hide behind as criminal indictments and civil suits shine the light upon the guilty. As important as finding and punishing those responsible for such an egregious situation, what's more important is determining how best to prevent such a situation from happening again in the future. What is becoming more and more clear is that there was a concerted effort by those in charge to cover up the discovery of the first signs of lead poisoning. Last week six former and current state employees were charged as part of the overarching investigation into the drinking water debacle. According to prosecutors, it is "pretty obvious" that agents with two state agencies manipulated data and implored others not to make known the serious problems happening in Flint. As it stands now, nine past and present state employees are facing criminal sanctions for crimes committed that caused and continued the crisis, and a tenth is avoiding charges in exchange for his cooperation. Although many on the right are quick to hold the water crisis up as a golden example of government gone wrong, several private companies are accused of similar wrongdoings. At the front of that pack is a French company named Veolia Environnement SA, a firm against whom the state has filed a civil suit that may cost Veolia hundreds of millions of dollars. 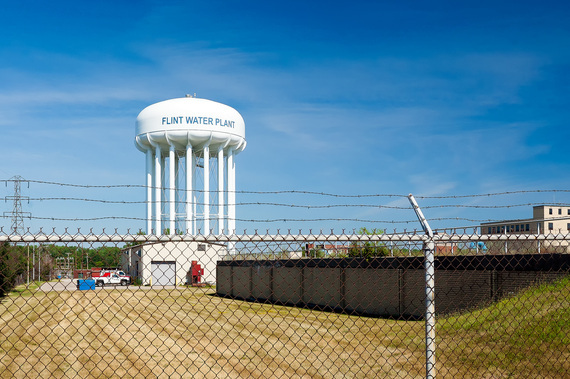 The firm was hired in the winter of 2015 to examine and remedy the quality of Flint's drinking water. Veolia, knowing full well that the water was clearly not potable, produced a report and gave a presentation stating the opposite. For its part, Veolia insists that they are merely a scapegoat. Calling the allegations in the civil suit "false, inaccurate, and unwarranted," the company argues that the government officials who caused and continued the situation are using them as a means to deflect responsibility. They cite to a Governor's Task Force investigation that found that the firm's actions in Flint were aboveboard. However, the excuse that Veolia is simply a whipping boy for guilty government officials begins to lose the ring of truth as more and more of those government officials are indicted. Michigan's Attorney General Bill Schuette has indicated that the investigation, which is eight months old and is poised to be the largest ever for the Wolverine State, is likely to yield even more indictments. The idea that the situation in Flint is an outlier is comforting, but plenty of evidence suggests that Flint is simply the first of such crises. As municipalities across America watch their revenue streams shrink, the temptation to cut costs and corners with the public water supply grows. Flint ceased buying its water from Detroit in 2014 and drawing water from the polluted Flint River strictly as a cost-cutting measure. Additionally, the city's decrepit water pipes, from which the toxic lead was drawn, were themselves casualties of the cash crunch. And Flint is not unique in this regard, either - the EPA estimates the country as a whole requires up to $600 billion in infrastructure work just to bring its drinking water and wastewater systems into the 21st century. Profit-oriented private companies are not the answer to a public water crisis, as has been seen, and Veolia is perhaps a perfect poster boy for not leaving public water quality to private firms. The Paris-based company entrusted with Flint's water supply has an impressively terrible record of showing up to a municipality, making the situation significantly worse, and laughing all the way to the bank in the process. Examples of Veolia's egregious behavior abound - in 2007 the firm began importing waste saturated with a military-grade nerve agent and burning it at an incinerator located in a minority-populated city just outside of Houston. It lobbied for permission to import PCBs, which have been banned in this country since the 1970s due to the substance's penchant for damaging the environment and causing cancer in humans, so it could burn them in the same incinerators. Veolia hasn't limited itself to damaging the United States, either. Earlier this year the firm was accused of dumping raw sewage into the Saldo Estuary in Ecuador. Activists accused the firm of colluding with the local mayor to dump approximately 44 million liters of wastewater into the estuary, putting the health and well-being of some of the country's poorest citizens at risk. The national government has filed suit against both the mayor and Veolia's subsidiary responsible for the dumping. The firm has left its mark upon Lithuania as well. Veolia's fifteen-year lease agreement over the heating infrastructure of ten of the country's cities led to what is likely that country's biggest corruption scandal. Veolia's subsidiary stands accused of obtaining the lucrative contract through significant and ongoing bribery of government officials, including Arturas Zuokas, mayor of the country's capital of Vilnius. The company resorted to intimidation and violence to retain the contract as well. And, in order to enhance its bottom line, the company is charged with manipulating the price of heating fuel. When the contract came up for renewal and one city chose not to renew the contract, Veolia initiated an international arbitration, demanding €100 million in damages. As internationally infamous as Veolia is, the firm recently renewed its contract with the city of Milwaukee to manage its wastewater treatment operation. The only option that makes sense is to increase oversight on a national level. The federal government has made attempts in this direction, but much, much more must be done to avert another crisis of the kind that occurred in Flint. If the Flint water crisis has taught us anything, it has taught us that we should not expect clean water when we hand responsibility for it to dirty companies.